Finally Ratan Tata has said Tata to Tata Group. 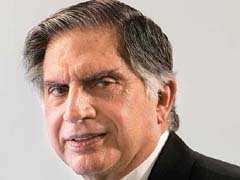 Yes Ratan Tata is now retired from one of the most trusted Indian corporate group Tata after two decades of service. He is leaving behind “lessons enough for ages”. Enough is written and known when it comes to the business success of Ratan Tata, the global acquisitions and Ratan Tata’s role in it. Let’s look at Personal Finance lesson from Entrepreneur Ratan Tata. Ratan Tata has demonstrated extraordinary growth. He has grown the group from $2 billion to $100 billion or something in a factor of 50 times. All of this, he has done legally and ethically. He has demonstrated the highest level of integrity and with courtesy, grace and humility. Ratan Tata is known as one of the growth oriented chairman in Tata group. Growing company with substantiality is not joke. Biggest lesson to learn is to generate wealth ethically. Today many people generate wealth but mostly likely through unethical way. One should avoid such way for wealth generation. Within 21 years of his tenure Ratan Tata has diversified this company like anything. Tata company is now in business of small tea to big car touching all major requirement of human. Certain Initiatives of Ratan tata are Tata Indica Car, acquisition of Tetely tea, Insurance company TATA AIG, Retail chain Star Bazzar, acquisition of corus & Jaguar etc. Lesson learned is diversification is must for growth and generation of wealth. One should find out different source of earning money rather than relying on single source. Apart from that one should diversify asset allocation by investing in fix return, equity, gold and real estate. Managing such a large group of company is not joke. As companies become larger you also have more resources & complex function to handle. Ratan Tata has capability to manage such large setup. Lesson learned is if your portfolio grows to larger extent you must build capacity to manage vast portfolio. Ratan Tata is person who turns dream in to reality. Yes I am talking about his dream project Tata Nano car in 1 lakh Rs/-. It reminds me famous dialog of movie Guru “Sapnay mat dekho, sapnay kabhi sach nahi hote.. mera baapu kehta tha.. The reality lies between just dreaming and thinking that dreams don’t matter. The reality lies in making your dreams come true through hard work. Lesson learned here is one must see dreams and develop capability to turn dreams in to reality. “Be your own man and be yourself,” is the mantra Tata has passed on to successor. This is the same counsel he told himself when he took over from JRD. Prior to the selection of him as Tata’s successor in November 2011, he held non-executive position on boards of several other Tata companies.